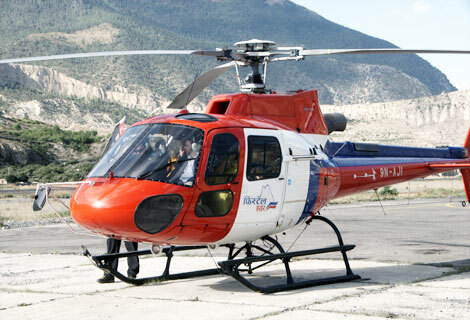 Religious tour to Damodar Kunda – Summit Helicopters Pvt. Ltd.
Damodar Kunda (lake) – 5400 m is famous specially amongst the Hindu people. This Lake is situated high up in a rain- shadow area of the Himalayas, north of the famous Annapurna range of the upper Mustang region between Kagbeni and Muktinath. 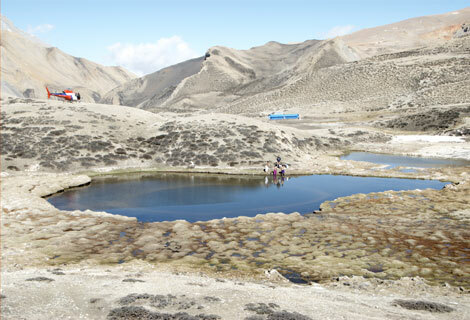 Many Hindus dream of taking a holy bath at least once in their lifetime in the sacred Damodar-Kunda, situated at the lap of the Himalayas in the Upper Mustang area of Nepal. It is also mentioned in Puran that two sons of Kubers were suffering from their wrongdoing and sin that were committed in a previous life. Lord Krishna suggested they take a bath in this Kunda and immediately after taking a bath they were released from all their sin. 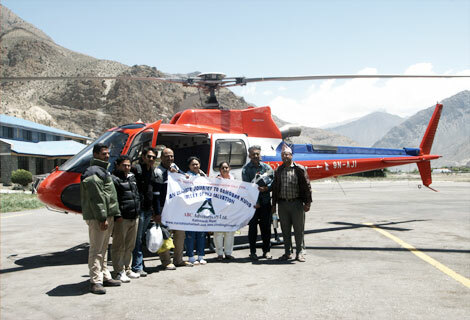 On the 17th and 18th of May we had an operation of taking 35 passengers up to Damodar Kunda from Jomsom and back. They were all Indian Citizens from the state of Maharastra aged from 30-60. Our AS350 B3-AJI was flown by Capt. Deepak Rana. A couple of shuttles were undertaken to complete the mission. Security personnel were also taken on the flights as per regulations. We hope the group had a wonderful spiritual feeling. Thank you for flying with Fishtail Air. Posted in: Company News, Heli Sightseeing & Tours, Tourism Articles.